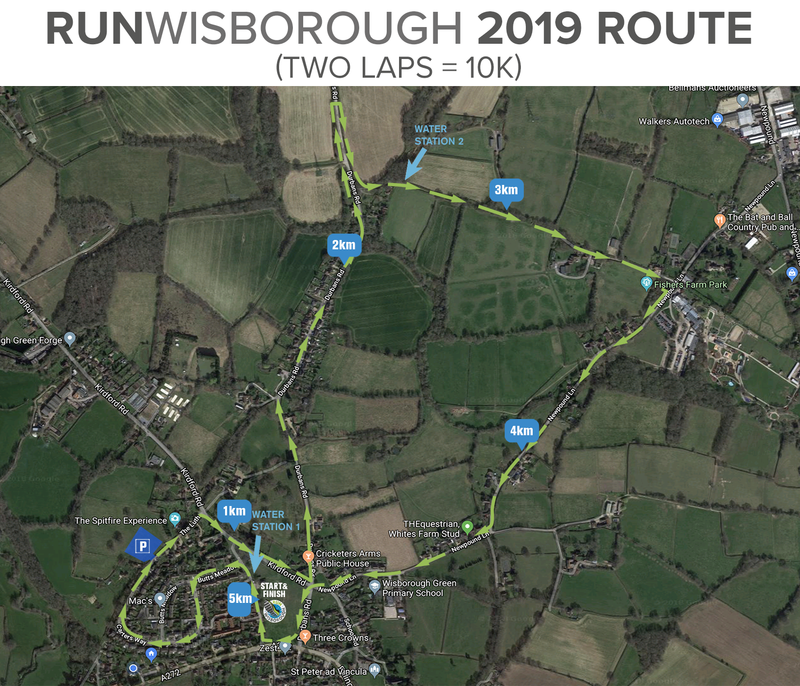 RunWisborough is a chip-timed multi-terrain race held every year in the picturesque village of Wisborough Green. Just about the whole village is involved; either running, cheering on or helping out. People enter from across the South East providing a great balance of fun runners and serious competitors. For youngsters we have the fantastic colour run. enjoy a bouncy castle and ice cream; perhaps while competitors relax their muscles in the massage tent. Enter online via the Nice Work website, or download a printable entry form. *AGES ARE RESTRICTED FOR INSURANCE REASONS. providing a lively buzz to spur you on! The 10K route will be a repeat of the 5K loop. Following feedback from last year about the tight bends on the leg up to the church, and as we have been successful in getting road closure orders, we’ve replaced this section with an out and back loop on Durban’s Road (just before the short off road track section). Given the increased number of runners we’re expecting this year, this change will ensure no crunch points and make for a faster course. Click to view the race route and elevation profile. 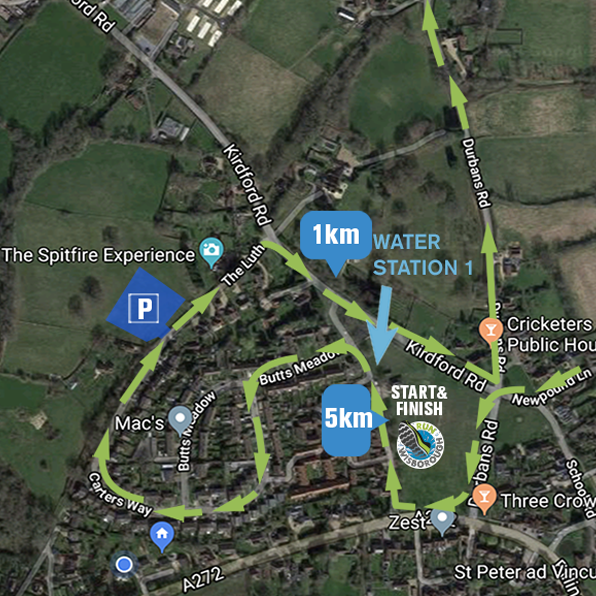 Download the race route (from Google Earth). prizes will be awarded for different categories. After prize giving please feel free to stay on and soak up some of the post event atmosphere. View the Race Day Schedule. Download the FAQs for more information about the day. green before finishing with a medal. One lap around the green and through the colour run area before finishing with a medal. Age groups will be determined according to the number of entries. Click to view the RunWisborough 2018 results on the Nice Work website. Click here to view and buy photos of RunWisborough 2018. *The photo site is down at the moment but please come back soon to have a look. A big THANK YOU to our RunWisborough 2019 sponsors and supporters! Please contact Richard Mellor to find out about sponsorship packages for RunWisborough 2019.